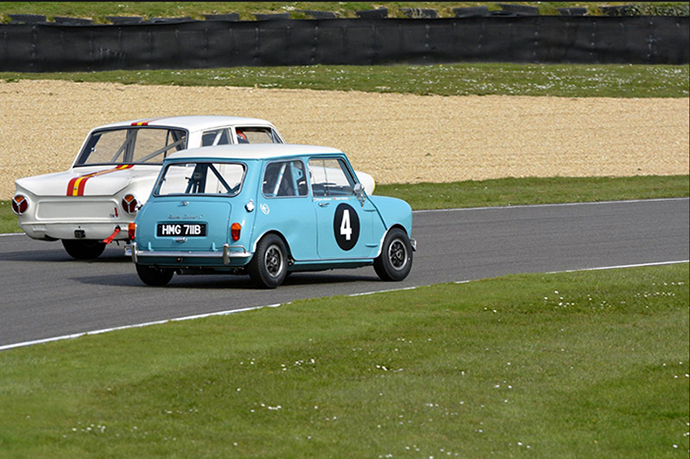 This years St Mary’s trophy will be as competitive as ever as current and past Motorsport professionals and celebrities will battle against each other in the Saturday race, with the car owners taking their turn on the Sunday, and the result declared on aggregate. TV chef James Martin will bring along his Mini and will be partnered with BTCC champion Jason Plato, who most recently joined Glyn Swift at the Members Meeting back in March. Formula 1 Red Bull boss Christian Horner will join forces with Chris Lillingston-Price, while Jason Stanley will continue his partnership with rally driver Rauno Aaltonen. The race will also feature Mike Jordan in his Cortina, shared with his son and BTCC champion Andrew Jordan, while BTCC Honda team mates Matt Neal and Gordon Shedden will share their cortina since their success at the Silverstone Classic.